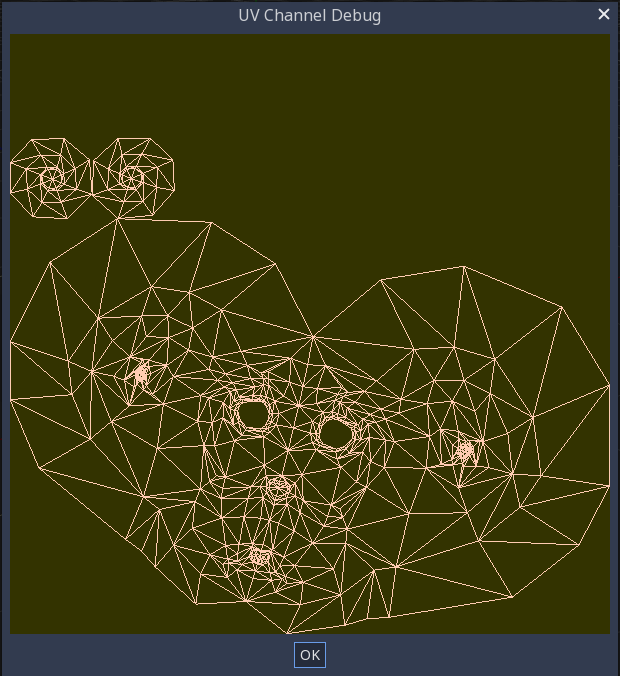 Unlike GIProbes, Baked Lightmaps are completely static. Once baked, they can’t be modified at all. They also don’t provide the scene with reflections, so using Reflection probes together with it on interiors (or using a Sky on exteriors) is a requirement to get good quality. 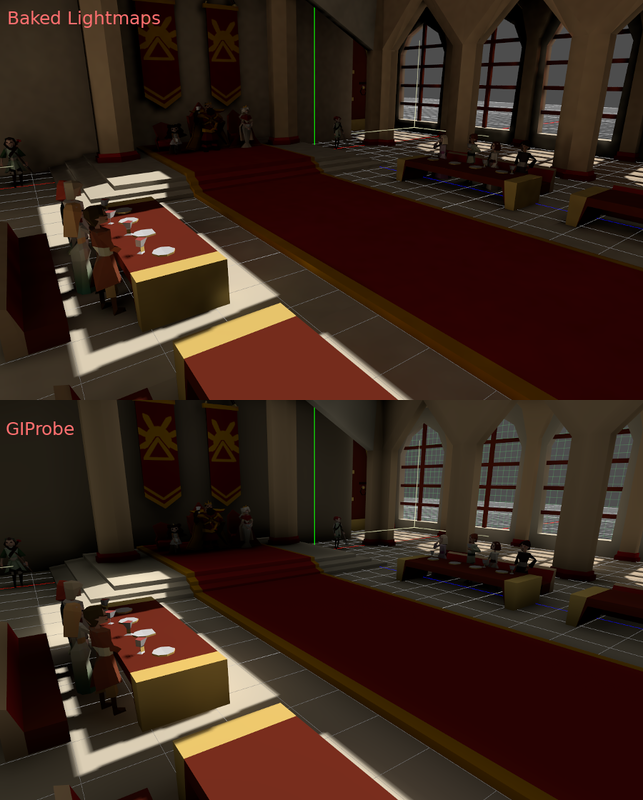 Here are some comparisons of how Baked Lightmaps vs. GIProbe look. Notice that lightmaps are more accurate, but also suffer from the fact that lighting is on an unwrapped texture, so transitions and resolution may not be that good. GIProbe looks less accurate (as it’s an approximation), but smoother overall. One option is to do it from your favorite 3D app. This approach is generally not recommended, but it’s explained first so that you know it exists. The main advantage is that, on complex objects that you may want to re-import a lot, the texture generation process can be quite costly within Godot, so having it unwrapped before import can be faster. The Light Baking mode needs to be set to “Gen Lightmaps”. 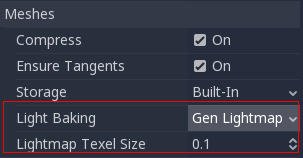 A texel size in world units must also be provided, as this will determine the final size of the lightmap texture (and, in consequence, the UV padding in the map). As a word of warning: When reusing a mesh within a scene, keep in mind that UVs will be generated for the first instance found. If the mesh is re-used with different scales (and the scales are wildly different, more than half or twice), this will result in inefficient lightmaps. Just don’t reuse a source mesh at different scales if you are planning to use lightmapping. 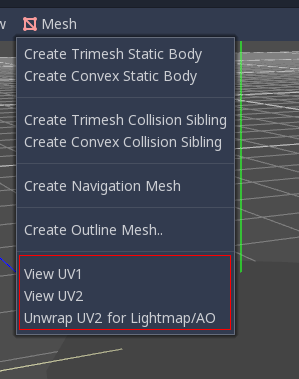 For a MeshInstance node to take part in the baking process, it needs to have the “Use in Baked Light” property enabled. All: Both indirect and direct lighting will be baked. If you don’t want the light to appear twice (dynamically and statically), simply hide it. 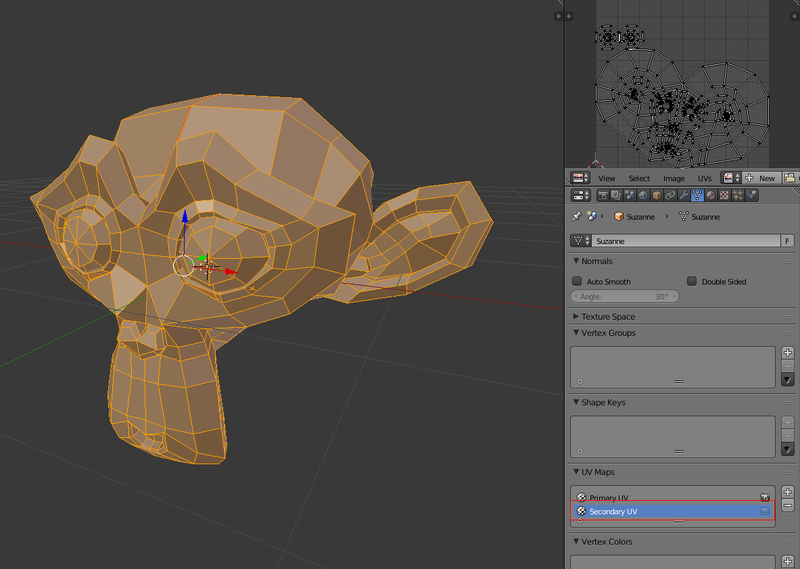 Voxel Cone: Trace: Is the default one; it’s less precise, but faster. Looks similar to (but slightly better than) GIProbe. Capture Subdiv: This is the grid used for real-time capture information (lighting dynamic objects). Default value is generally OK, it’s usually smaller than Bake Subdiv and can’t be larger than it. HDR: If disabled, lightmaps are smaller, but can’t capture any light over white (1.0). Image Path: Where lightmaps will be saved. By default, on the same directory as the scene (“.”), but can be tweaked. 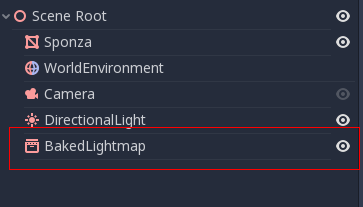 In other engines or lightmapper implementations, you are required to manually place small objects called “lightprobes” all around the level to generate capture data. This is used to, then, transfer the light to dynamic objects that move around the scene. However, this implementation of lightmapping uses a different method. The process is automatic, so you don’t have to do anything. Just move your objects around, and they will be lit accordingly. 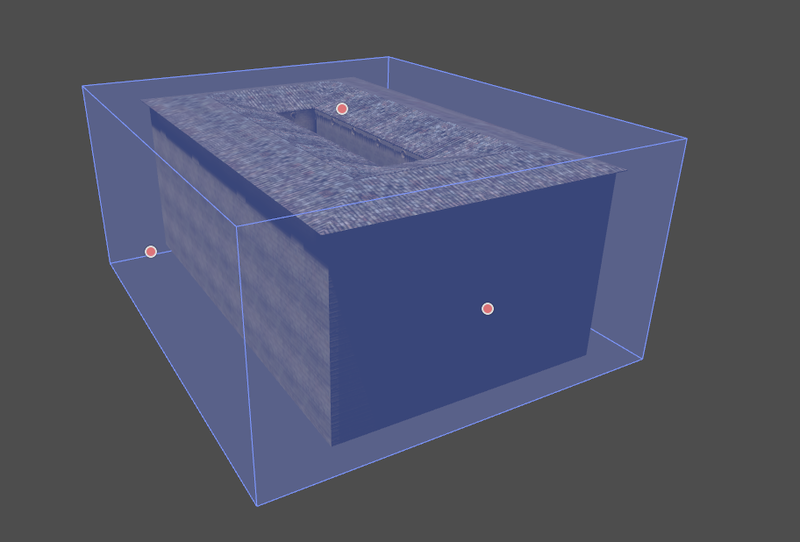 Of course, you have to make sure you set up your scene bounds accordingly or it won’t work.